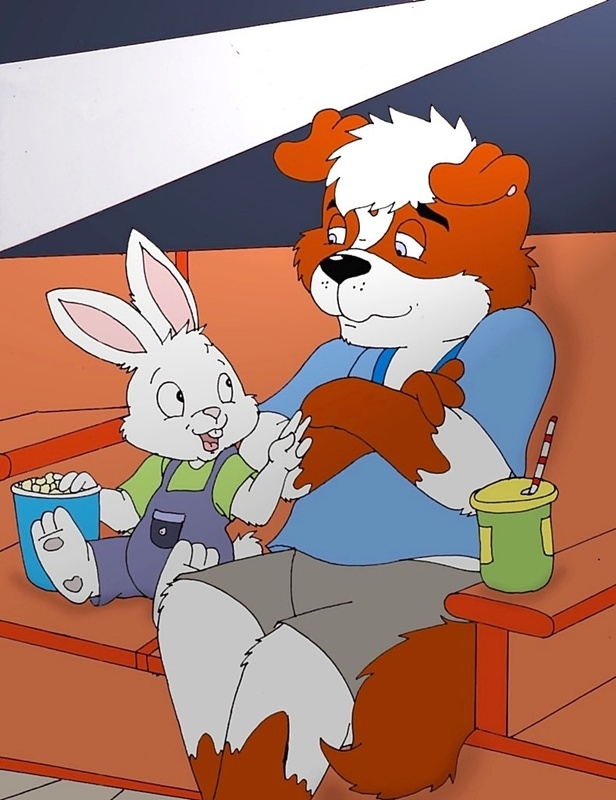 Matt and his pups were in the movie theater watching a family movie, when suddenly a cute little bunny sat next to him! His mom were next to him, but he decided to sit next to Matt and started chatting about the movie! Kaleb, that's his name, told Matt everything about the movie since he had seen it like twice! After a friendly chat, his mommy called him and little Kaleb shook Matt's hand and said goodbye with his little hand! Kaleb:"Nice to meet you, Matt! I hope you like the movie as I loved it too!" I wouldn't be too happy if I went to a movie and some kid spoiled the whole plot for me. So inconsiderate. Personally, I enjoy a movie more when I don't know what's gonna happen. Yeah, but he’s young and Matt probably isn’t mad because Kaleb is so adorable he’d Be really hard to get mad at. I think I'd be more angry at his mom than at him, honestly. She's supposed to be teaching him right from wrong. It's not my job to raise her kid, it's hers. She's not doing her job properly. if the movie is infinity war...that kid will be VEEEEERY SAD AT THE END....and so will matt. I THOUGHT that looked like Campy's bunny character! Nice. Why do Bunnies looks so cute in overalls? Talking during movies is normally frowned upon which is why I love to watch movies at home where I can talk. Still, who can get mad at such a cute bunny!